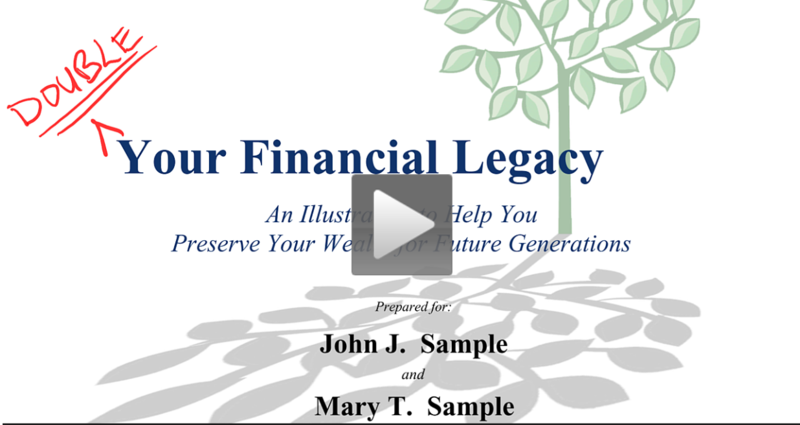 Are you offering your clients a Retirement Security Plan with all these benefits? 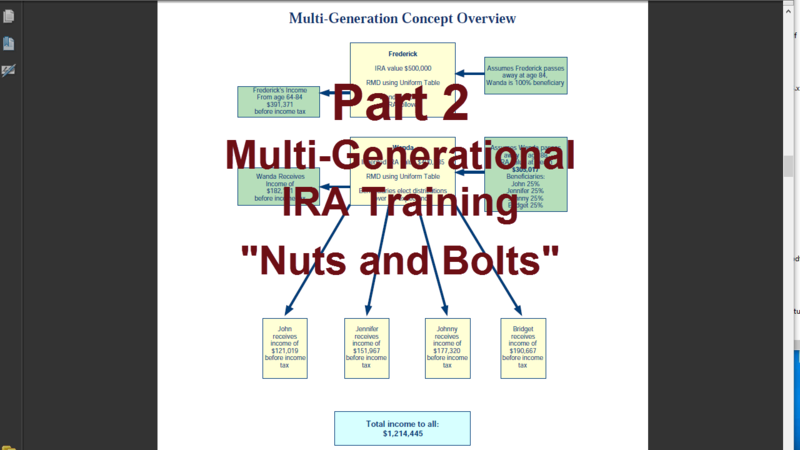 The Personal Income Generating Machine software will help you present all of the above with this simple report. If you are recommending products that require broker-dealer approval, point the compliance department to this page and have them review this sample report and this FINRA compliance approval letter. 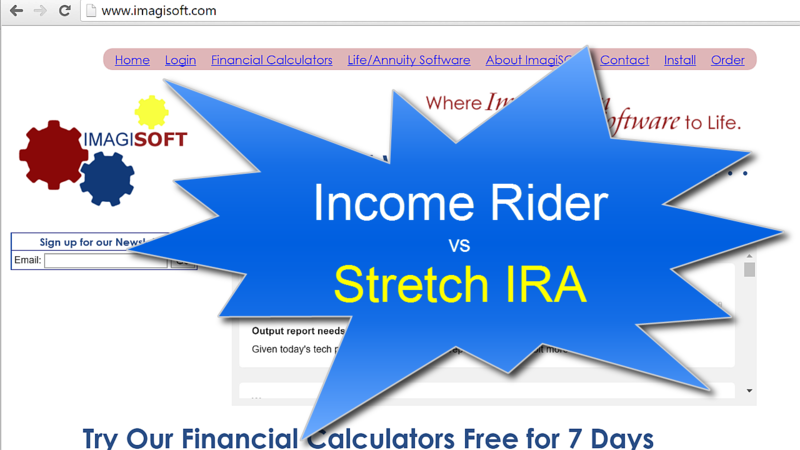 Our Personal Income Generating Machine Software is a variation of the Stretch IRA concept that answers all six FINRA concerns when presenting the Stretch IRA concept. 30 day money back guarantee. Only $400 Annually! Order On-Line Now. Call us at (877) 510-4702 or email tech.support@imagisoft.com for a free 7-day, fully-functioning license to this web-based software.